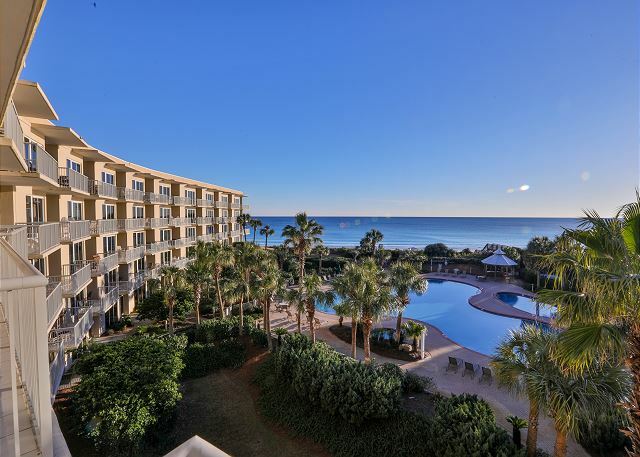 Whether you are lounging at the lagoon-shaped pool, relaxing in the hot tub, grilling out, walking on the beach, people watching, sunning, working out at the fitness center or playing with your kids in the video arcade, the Crescent offers all this and more. 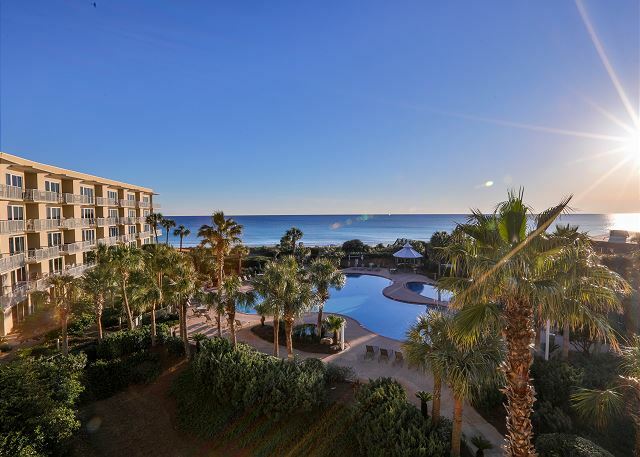 You are a quick 5 minute WALK from Destin s famous designer Silver Sands Outlet Mall, a grocery store, restaurants, bars, beach shops and more. Let us tell you about our 3 bedroom, 3 bath condo....refurnishing and remodeling completed, with the guided expertise of one of Destin s best known interior designers. All new granite counters, new travertine flooring, designer bedding ensembles, wonderful splashes of accent wall colors, a complete remake of every room. You ll enjoy the complimentary seasonal beach service consisting of two chairs and one umbrella set up for you daily on the beach. 6 girls stayed 5 nights in 313 - and had blast! Thanks for the great review, and I am glad you had a great girls week. The crescent condos is fantastic. 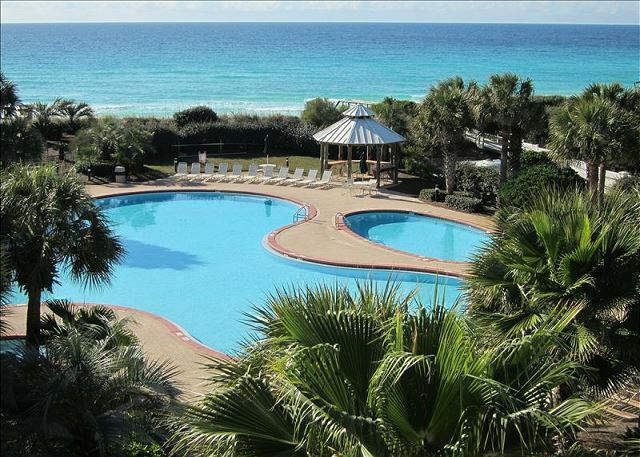 The cresset condominiums is one nicest places I’ve ever Stayed in and the Destin Miramar Sandestin area. Our particular condo 313 was immaculately decorated and clean. We had an entire wedding party get ready there and there was plenty of room for them and all of the other guests. I would recommend it to anyone. Thanks for the great review. The Crescent and this unit right in the middle does have an amazing view of the gulf. I hope we will see you back again in the future. We had an awesome time! Everything was great! The only complaint I have was the cleanliness! Curtains in living room and one of the bathrooms needs laundered. There was also food under tables and beds! Kitchen towels had food all over them and dishes were pretty bad too! I talked to property manager about the cleanliness and she said a new cleaning staff had already been put into motion. We had some issues with the door lock but Stacy(property manager) was very prompt and very kind. Everything was taken care of ASAP. I will definitely be back! I apologize for the cleanliness. We are always looking to improve on that and find the best housekeepers we can. Glad we could get that door unstuck and a new lock installed as quickly as we did. I hope we will see you back just as quickly. It was wonderful, clean and we had every possible kitchen appliance needed!! The only glitch we had was trying to watch a DVD one night and the remotes wouldn't work. Management came up and while not resolved, they were VERY prompt. We look forward to coming back next year! Thanks for the review. We have now sourced a replacement remote for the Bluray/DVD player. We will hope to see you again next year. This condo was the perfect fit for our family! We had both daughters and their families, and each family had their own bedroom & bathroom. It was clean and well stocked. The view over the pool and beach is breathtaking! We had an issue hooking up to wifi and Brantley got back to me right away with updated instructions. 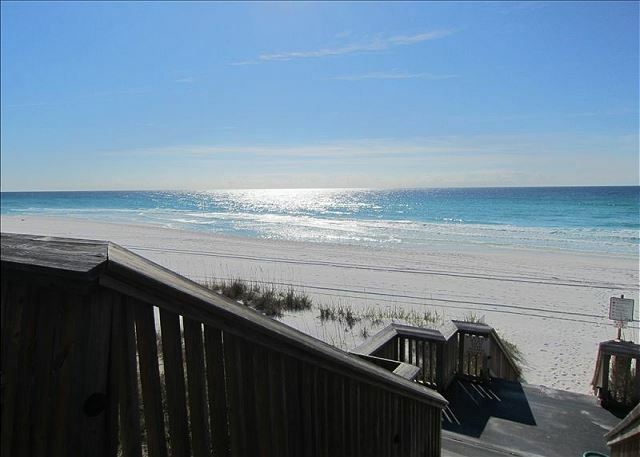 We enjoyed the location - close to restaurants and shopping, but not as crowded as some parts of Destin. If I had any complaint, it would be the master bedroom mattress. It's worn, and sags to the sides. Other than that, this condo was amazing! I will recommend it to anyone looking for paradise on the beach. We would love to return! Thanks for the review. I'm glad we were able to get that wifi connection issue solved quickly. I will pass on your opinion of the bed to the owner and see about a replacement. We will hope to see you again next year. Had a great time in your 3 bedroom unit. Unit was clean and loved the size of the complex and the amenities. Surf Hut right next door so you can just walk and the food and drinks are great there. Also enjoyed shopping at the outlet shops which is walking distance if you wanted. We had a wonderful family vacation at The Cresent. It was the perfect spot for our family. 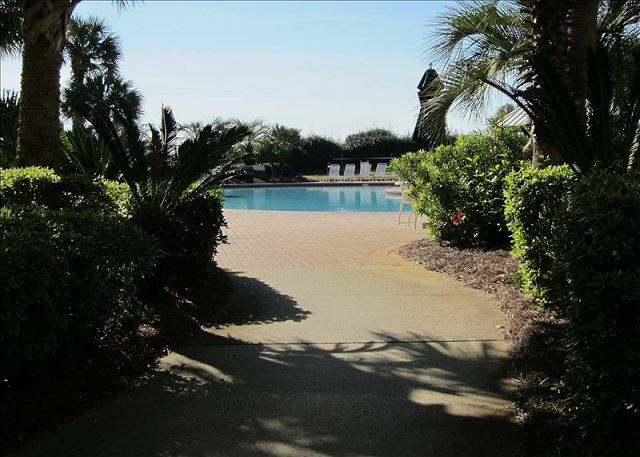 Beautiful condo, spacious pool and amazing views. We had the feeling of being in a fine resort in the Caribbean. The condo was great, had plenty of space and the view was fantastic. We'll definitely come back to The Crescent again. Great location, we could walk to everything we needed. We were very pleased with this unit. The place was a very clean and updated unit. The kitchen was stocked with all of our cooking and grilling needs. A nice view of the pool and the ocean. All of our contacts for this unit were very pleasant to deal with. We would definitely come back! Amazing place to stay! Great workers and right on the beach! The condo was better than pictured, and it was very clean. The views were amazing, and the beach was just a short walk away. The unit had a well stocked kitchen. 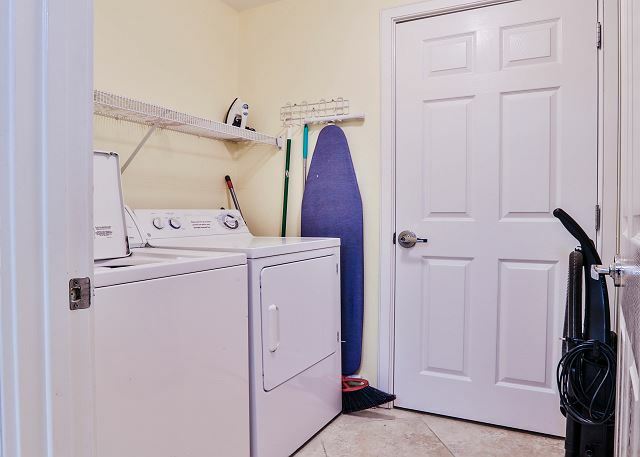 The unit is convenietly located to shopping and restaurants. The owners were also very responsive. I would definitely recommend this condo. We loved our stay at Crescent Condominiums! The condo 313 that we stayed in was beautifully decorated with updated appliances and furniture. Above all else, the view was the best!! The beach was lovely too! We loved having an umbrella and 2 beach chairs provided with our stay setup each day for us. The grounds were kept up well with lush plants and always clean. The only complaint we had was our stay wasn't long enough! We plan to make this an annual trip staying at Crescent Condominiums! Girls always wanna have fun! Our trip includes 6 sisters and 1 cousin. We take a weekend trip every year. This trip was a blast. The condo was as beautiful as the pictures on the website. We enjoyed everything from the bacony to the pool to the beach and oh don't forget shopping. We will be back. Easy going. 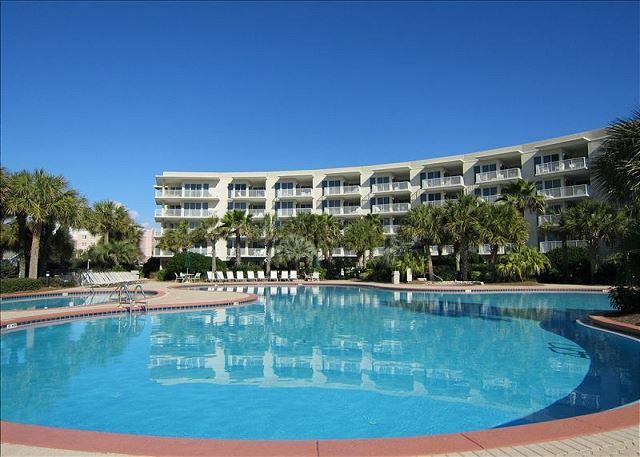 Convenient to pool and beach and restaurant. Destin restaurant an shops just 5-7 miles away. Rented pontoon at luthers in destin. Went to crab island. Highly recommend crab island. But August brings a lot of jellyfish to Crab island!! We really like Crescent. Unit was perfect for us. Only issue and it is not the rental company's problem, the internet was really slow and unreliable. We are heavy users, but that shouldn't be an issue. 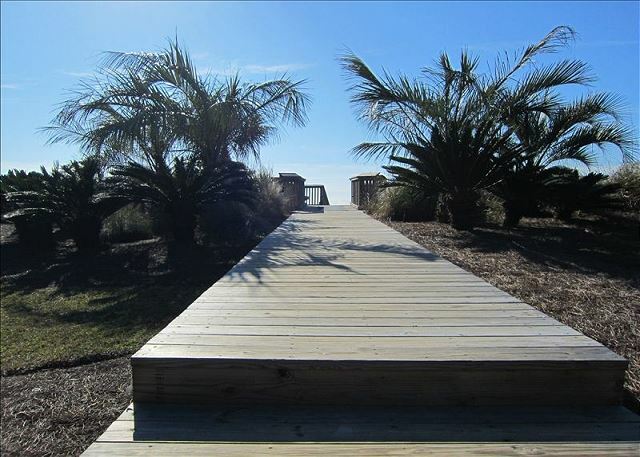 Wonderful property that was very family friendly. Property was great. Unit was very nice and comfy. Good location. Pool is big and they cleaned it every morning. We will return. Compared to other units at Crescent this unit's interior had been nicely upgraded to include granite countertops. The view from the third floor was spectacular. Having beach chairs and umbrella service (set up for you) was a added bonus that we really enjoyed. The management were more than accommodating by granting several specific requests we made. The only complaint, which is really just a personal preference, is that both of the king size beds were too soft for our liking. There is a seafood restaurant next door that we enjoyed eating at several times that you can access from the beach. The water in the ocean was super clear and beautiful. A perfect condo with a beautiful view of the ocean. The interior and exterior were exactly as pictured and I would definitely stay at this unit again. Very centrally located with great shopping and restaurants nearby. We only stayed 3 nights which wasn't long enough. Will definitely come back I would highly recommend this property for families, couples and of course, girl's weekends! ALMOST EVERYTHING WAS GREAT. ONLY MINOR ITEMS WERE THAT THE SAFE DID NOT WORK(STAFF TRIED TO FIX)AND THE WIFI PASSWORD WAS INCORRECT BUT STAFF PROVIDED THE CORRECT ONE. COUCH AND KING MATTRESS IN FRONT BEDROOM PROBABLY NEED TO BE REPLACED. EVERYTHING ELSE WAS GREAT. STAFF WAS GREAT. This was a very nice condo, very clean and well updated. I would definitely stay here again. Smooth check in procedure. Great assistance from the receptionist in the lobby. Exit process was seamless. This made a great vacation experience , Grand. Location was great for shopping with the Outlet malls just a mile away. Service received by the beach attendant was outstanding. It was a wonderful week. We loved the view and the condo was very comfortable. WE HAD A WONDERFUL VIEW OF THE GULF. OUR UNIT WAS VERY COMFORTABLE. ALSO EXERCISE ROOM WELL EQUIPPED. WE HAD A LITTLE TROUBLE WITH THE TV UNITS, BUT FINALLY LEARNED HOW TO USE THEM. THEY MIGHT WANT TO LOOK AT THAT SET UP.